I'm starting to feel like the rabbit in Alice in Wonderland. I'm late, I'm late, I'm late. 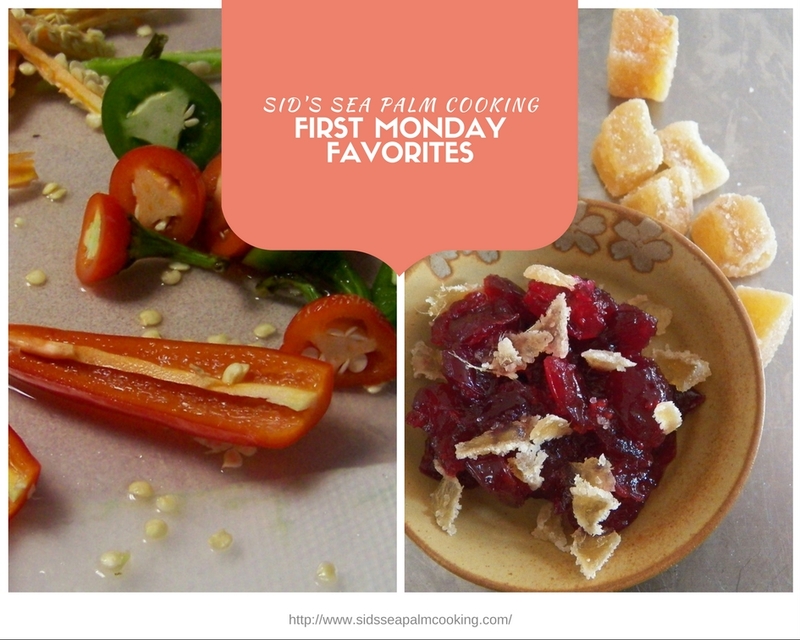 But here it is, First Monday Favorites for October. Featuring my favorite recipe from last month. September didn't just rush by, it went through at hurricane force and left no prisoners. I wasn't just sitting on my thumbs either. I'm working on a new cookbook featuring shrimp recipes along with some other seafood's. I also made a wedding cake and a groom's cake, made a couple of cakes for the Legion Cake Raffle, which I do every other week, and attended a couple of other link parties. I used my Master Mix to make some awesome Breakfast Biscuits and participated in a food fight where I made a Banana Bundt cake. I hosted a virtual online Tapas Party to celebrate and launch my newest cookbook, Nibbles and Bites and some awesome bloggers joined me and made recipes from the cookbook. And as all good great cooks do, they made the recipes their own and added some wonderful nuances to some of the recipes. Shameless plug here, but this book has simple, easy recipes with ingredients that you can pull from your pantry or your fridge and have a fun appetizer ready to go within minutes. I do ask that you share a link to your favorite recipe from last month and I have to say my favorite recipe was this one. Roasted Potato and Heirloom Carrot Soup. Yup, it's the one I made for Soup Saturday Swappers and it's a winner. I think one of the things that totally made it for me was my idea of 'crisping' up the pork bits and browning them in a touch of fat and then topping the soup. I loved it and in fact I may just have to go make some more this weekend. I ate up all the other one. 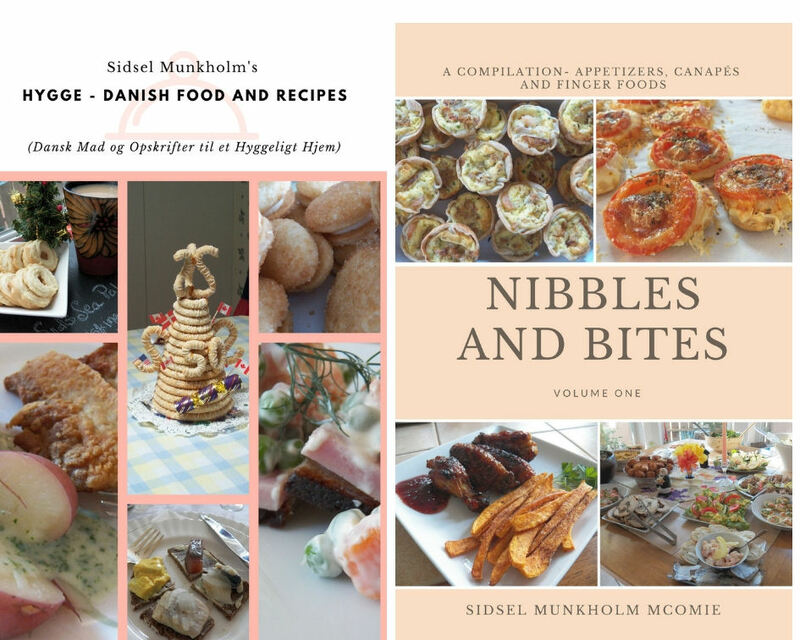 Nibbles and Bites - A Compilation of Appetizers, Canapes and Finger Foods. Available both in book form and as an ebook. if you're in the Carrabelle or Apalachicola, Florida area, you can pick up an autographed copy of the book at either Shop by the Sea in Carrabelle or Downtown Books and Purl in Apalachicola. 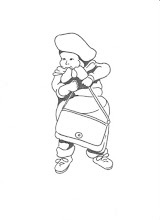 Nibbles and Bites is also available at the Crooked River Lighthouse gift shop. That soup sounds very delicious and terrific for the fall weather. It was good and while I was going to make it again this week, life happened, but it is on my soup list now. Thanks so much for linking up your chili this month. I came "this close" to choosing my potato soup as well, but my Fish Friday won out. Also thanks so much for letting me a part of your virtual tapas party! I can see why your Fish Friday won out. I have everything to hand to make this except for the peppers, but I'll be picking some up this week and then this dish is getting made. So glad you were able to participate in the virtual Tapas party. Thanks for linking your dish.